Los Saguaros at Dove Mountain offers homes that will make the patio an outdoor oasis in the Arizona desert. The Los Saguaros Sabine Model creates just that. The Los Saguaros Sabine Model has a lot to offer up in a 2,775 square foot single-story home. 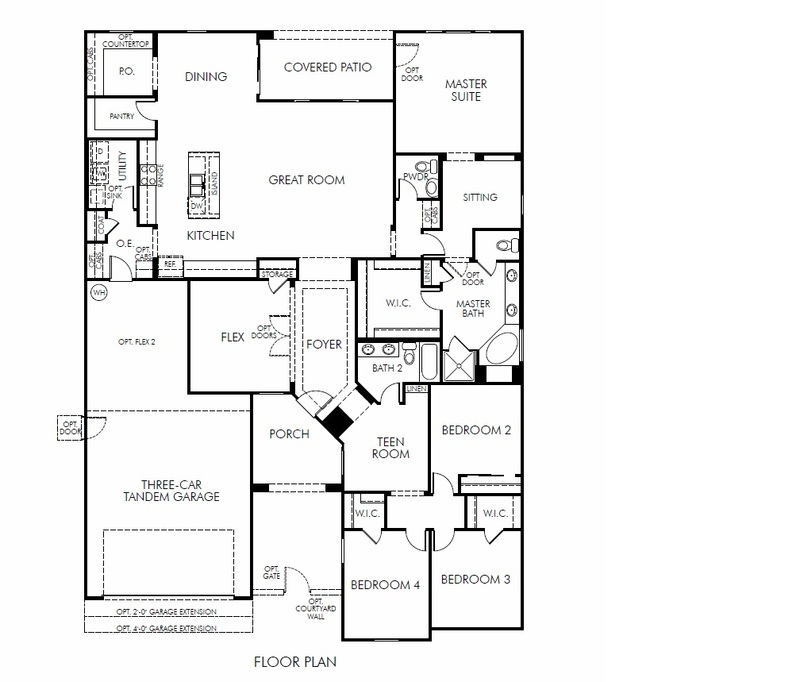 This particular Sabine model includes 4 spacious bedrooms, a place to work, and even a playroom. The Los Saguaros Sabine Model boasts a perfectly designed great room. The Sabine also has a centrally placed flex living space that is perfect for a private den or reading space. The luxurious master suite is cloistered in the rear of the home for added privacy. The three-car tandem garage is a great space to store all of your family’s toys. And especially the adult toys with wheels. The Los Saguaros Sabine Model Floor plan has a variety of options to change the rooms and expand the square footage of the home. There are 3 elevations for the Los Saguaros Sabine Model to choose from. Los Saguaros at Dove Mountain homes are served by the Marana School District. This community also offers an array of amenities nearby hat include: Golf Courses, Parks, Spa and fitness facilities. Considering a new construction home in Dove Mountain or other area of Tucson? Here are some things you should know about new home builders.